Phenomenon like focus on customer experience and self-service portals have given rise to multiple technological trends in contact centers. Customer loyalty lies at the heart of these trends due to which they guarantee long term survival of brands that implement them. Customer support agents are able to reply as per the moods of customers with the help of call center analytics. This has made the customer care more personalized due to which customers are becoming loyal for the organization. The insights deduced through call recordings and social media data helps in predicting the consumer’s behavior. This ultimately leads to better services through every channel. Call centers are increasingly relying on cloud technology due to an array of benefits linked to it. Cost-effectiveness is very first benefit linked to this technology. Upfront expenditure is saved by the call centers through the deployment of this software. It also allows the companies to offer services from any region of the world. The integration of this technology with existing infrastructure is hassle-free. In this technology-oriented world, online mediums like emails and live chat have become inevitable in customer support. Customer care through social media is another bi-product of technology, which is necessary to remain active in the market. Therefore, almost every contact center is offering support through multiple channels for getting positive response from customer’s end. Social media monitoring is also necessary to make sure that negative reviews and feedbacks for a brand by customers are tracked regularly. Last few years have observed exponential growth in the number of smartphone users around the world. The online stats portal Statista predicted that number of smartphone users by the year 2018 will be 2480.4 million. This enormous expansion hints the rise in the demand of customer support through mobiles. Therefore, the outsourcing vendors are also offering mobile devices applications through which customers can resolve their queries effectively. Call centers are increasingly adopting call-back technology as it is directly linked to satisfaction of customers. Through this feature, the customers don’t have to wait while making a contact with customer care department through phone. The company call backs the customer whenever an agent is available. This technology is appreciated by busy customers who hate to waste their precious time on waiting. Interactive voice response (IVR) is already becoming more popular as a utilitarian tool in call centers as customers prefer to resolve the issues themselves. Now, the customer support centers are going a step further by offering IVR support through visual medium. In this technology, all the options related to menu are visible on smartphone or computer screen. Customers don’t have to remember all the options while using this form of IVR. 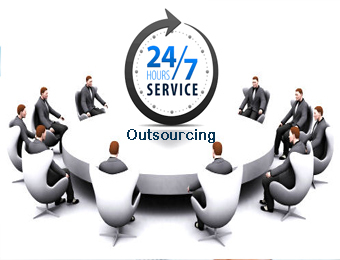 It also helps the call centers in decreasing the dependency on customer support representatives. It is another major leap in terms of call center technology. The customers are able to view the representatives while contacting them, which multiplies the trust factor. On the other hand, the agents can demonstrate the working of products whenever a customer faces confusion related to its operation. Rate of customer satisfaction and first call resolution are elevated through the installation of this technology. Several firms are also using this technology to increase their sales as customers can be influenced quite easily with this mode of communication. Numerous characteristics of voice are utilized through pre-recorded customer voice for authentication purpose in this technology. This process is gaining popularity as data is more secure than conventional security methods while using IVR for customer support. Number of fraud cases has already been substantially reduced with the introduction of this method. Customers also feel more comfortable as hasslerelated to remembering passwords is purged off through this technology. Call routing under which the calls are allotted to a specific agent on the basis of his/her skillset is referred as skill-based routing. This technology is aimed to reduce the number of unsatisfied customers and improve first call resolution. The growth in different industries like healthcare, telecom and online retail has raised the dependency on contact centers for efficient customer support. To manage the demand related to finest customer support, outsourcing vendors need to implement above discussed technologies.